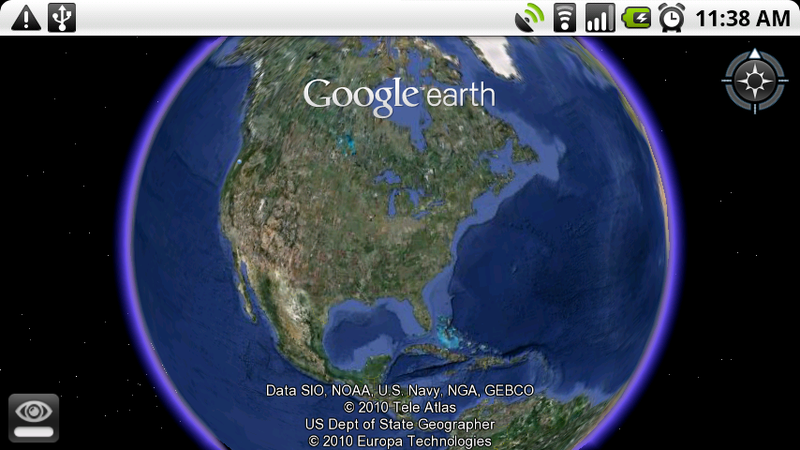 For whatever reason, Google Earth was pulled from the Market of most Motorola Droid users who updated to the official 2.1 both manually and OTA. We still haven’t heard exactly why this happened, but we’ll assume that Google must have some good reasoning behind it. Many of our readers reported being able to see Google Earth initially after updating and within a few days, noticed it had disappeared. Weird right? Fortunately, we still have the 2.0.1 version that we made available a few months ago and it works flawlessly on the 2.1 update! Thanks to everyone who tested this!